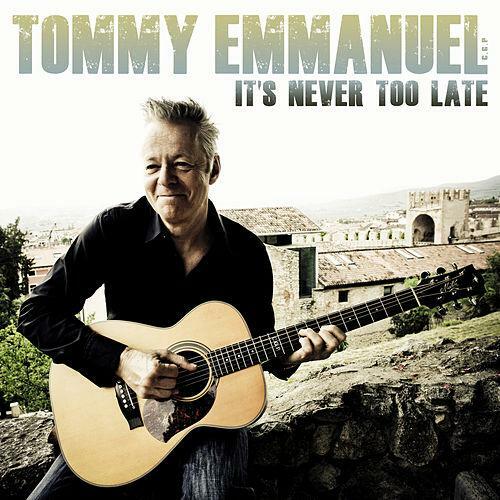 Native Australian, Nashville resident Tommy Emmanuel in New Jersey. 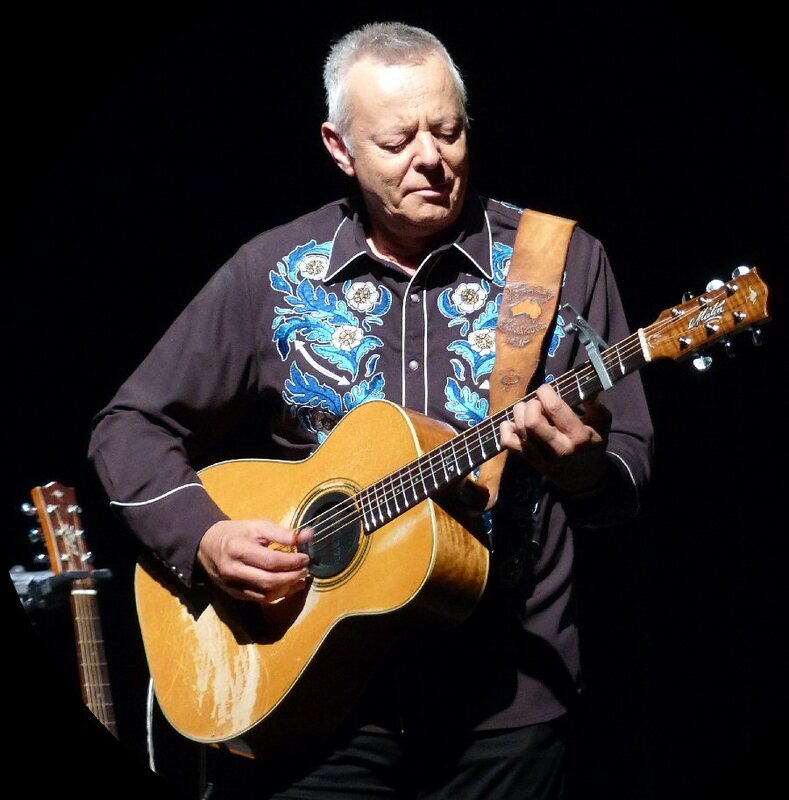 Tommy Emmanuel is one of Australia’s most respected musicians worldwide. The guitarist currently resides in Nashville, Tennessee. Over the course of a five decade career Tommy has earned numerous accolades and awards including the rare title of “Certified Guitar Player” from the late yet still legendary Chet Atkins. Emmanuel is a fluid fingerstyle guitarist who can play not one but three parts at once. He dazzles fans with his strumming that runs the range from blues to world. 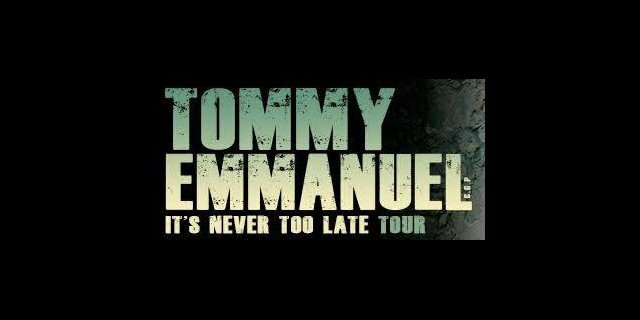 Emmanuel’s stage set-up at the bergenPAC was simple with a few amps and two acoustic guitars. Tommy strolled out armed with a battered third to present a piece of pretty picking. The next instrumental was fast and fluid with dramatic strums to punctuate the song. “Thank you so much, welcome,” greeted Tommy who jokingly introduced “the band” as Emmanuel demonstrated how he plays bass, rhythm and finally lead alone and all at the same time. On a number of occasions he sang. Emmanuel utilized a wide array of techniques such as hitting the body of the guitar for a drum beat which explained why his instrument was well worn in spots. Tapping strings was also another well played trick. His layered progressions were colorful, creative and full of feeling. Tommy put his own unique spin on the classic “House of the Rising Sun”. He encouraged fans to clap along to the heavy grooves he crafted. At one point the guitar was practically singing those well-known lyrics. Emmanuel added scratches, taps and thumb thunks to his mix. Tommy explained that he tried to incorporate as many “Georgeisms” such as major to minors in his song “Papa George”. It was a tasteful and technical tribute to the late Beatle. Tommy switched guitars for a heavier effect on “Blood Brothers”. Emmanuel honored another legend Jerry Reed with a swaggering “Struttin’ “. The second set of the show was as entrancing as the first. It too was packed with lively layered leads, taps and more. He presented a number of tunes from the new album as well as a beautiful version of “Over The Rainbow” with cascading chord progressions. Next, Tommy conducted a “workshop” to teach the crowd how to play “The Tall Fiddler”. It was a multiple-part piece that he suggested one start off slow and increase the pace. The master made it seem simple to play three parts. He starting with a mandolin straight up and down stroke and then hit the saddle for a little punch. He then demonstrated the other two sections before putting it all together. “The Trails” was inspired by a Native American chief playing a flute. From there Tommy composed his song about the struggles of native peoples around the world. It echoed of ancient accents as it ran through a range of emotions. Tommy also added a drum solo to the poignant piece by banging the body of his guitar. Emmanuel’s Beatles medley starting with “While My Guitar Gently Weeps” was magical. “Its been a joy to play for you,” enthused Tommy who quickly returned for the encore. Emmanuel performed a harrowing version of “Hurt” countered by the hopeful “It’s Never Too Late”. He shared that the title track from his latest album was written for his young daughter and a sign at his house that states “its never too late to live happily ever after.” It was an interesting contrast of moods to end the show on an impressive and pleasing note. 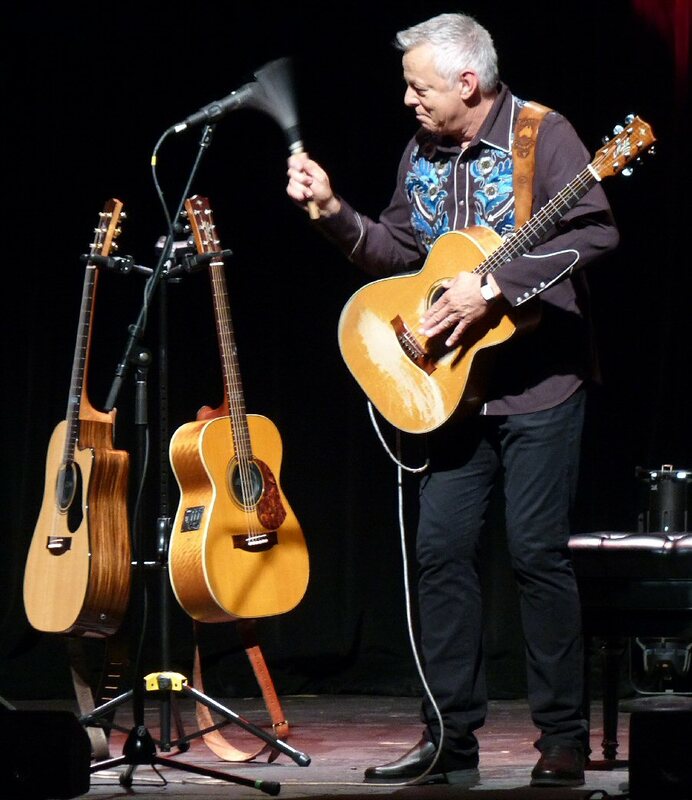 Tommy Emmanuel was another captivating concert hosted by the centrally located bergenPAC. The theater continues to showcase an eclectic range of artists. Upcoming events include Laugh All Night, Igudesman and Joo, Under the Streetlamp, David Sedaris, Itzhak Perlman and Peter Frampton. The bergenPAC also supports educational programs in the community. At one point Tommy Emmanuel crafted an amazing drum solo on guitar.